What's better than a great Thanksgiving dinner and watching some football? 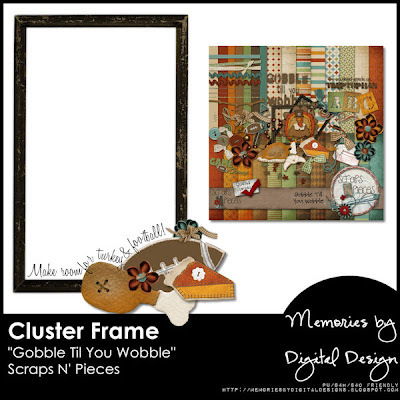 How about a freebie from Scraps N' Pieces latest kit - Gobble Til You Wobble? Don't forget - GTYW is on sale this week - 50% off. Thank you so much for this post. I want to let you know that I posted a link to your blog in CBH Digital Scrapbooking Freebies, under the Page 6 post on Nov. 08, 2011. Thanks again.